Depression affects one out of five Indians and is becoming increasingly more common. While a lot of this has to do with ubiquitous and unavoidable factors such as stress, fast paced lives and changing value systems, there are a few factors which can be modified with a little effort, to promote one’s mental health and protect oneself from depression. Eat right : A proper diet can go a long way in protecting one from depression. A hearty breakfast is extremely important. Sleep in plenty :Sleeping for at least 6-8 hours per day is essential to keep up the body and mind’s defenses against all sorts of ill effects. Exercise : Exercise generates endorphins (the natural feel-good chemicals manufactured by our brain) and can serve to ward off depression. Be a little selfish : Everyday, do at least one activity that you enjoy, purely for the pleasure you derive out of it. Reflect: Every night, before sleeping, try and recall at least one strength/virtue you exhibited through your actions in the past 24 hours. If you can’t, make sure you work towards changing that answer tomorrow. Remember, depression is not a matter of choice. Happiness is. When I was growing up, in the Seventies, one of my closest friends was Gudiya. Gudiya was 9 years old, had bright eyes, and worked at a neighbour’s place. She washed dishes, wiped floors, and looked after the baby in the house. In return, she was given shelter and food. That was considered enough for the little girl from a remote Bihar village. Gudiya was not the only one of her kind. Those days, children working as domestic help was very common. There seemed to be an endless supply of children from villages near and far, ready to be pressed into service. Gudiya grew up without education and, when she turned 16, ran away with a man four years her older. I had drifted apart from her by that time as studies took up more time. Yet I remember being saddened by her disappearance and wondering what would happen to her. I never met Gudiya again. Child labour is the greatest evil within our society. It exposes little children to exploitation and abuse, snatching away their childhood. But what is worse is our apathy towards this evil practice, and at times, even tacit approval of it. Even if we are vocal about children employed in factories and sweatshops, we maintain silence about those working in roadside tea-stalls and in our homes. According to Census 2011, there are 8.22 million child labourers in India, aged between 5 and 14. If you count till 19 years of age, the figure shoots up to 35.4 million. These are big numbers, which point to our failure as a society to prevent child labour. I have heard many argue that child labour actually helps families climb out of poverty and the earnings ensure a better life for the children themselves. That is an ill-informed argument. The earnings are so meagre, and are often absent, supplemented by food and shelter, that these are of no help and merely propagate the cycle of poverty. As it is, most are employed in “family enterprises” or households, where the payment is missing or, at best, poor. The silver lining here is that there has been a gradual reduction in child labour in India over the past decade or two. I can see much less Gudiyas in homes around me, at least in Kolkata. 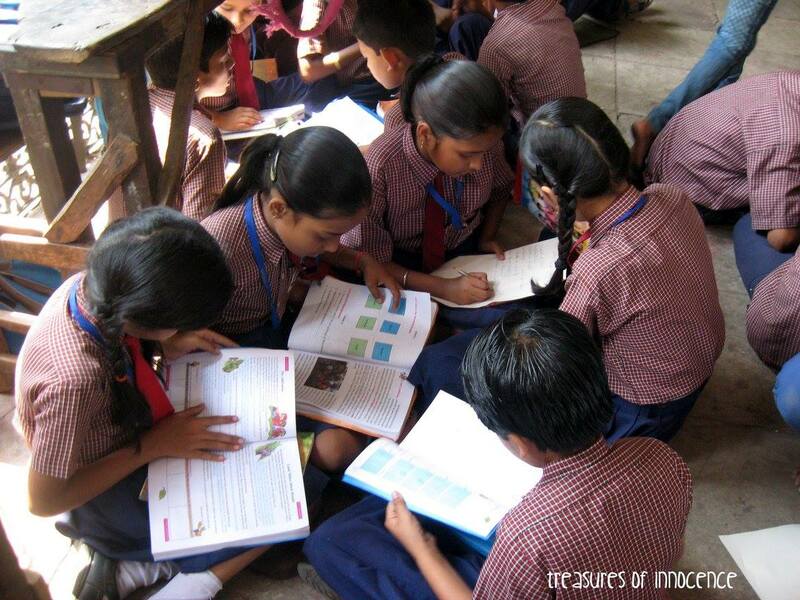 Children and adolescents should be spending their time playing and studying in schools. We as a nation and as a society should ensure that. It is time we acknowledge child labour as a problem and end the vicious cycle of exploitation. Teenage is awkward as well as fascinating period for both youngsters and parents. It is a period of transition. Rapid Physical, physiological and psychological changes occur during this period. Teenagers seek autonomy, to establish identities of their own and their own value system. NURTURE – by being supportive, warm and encouraging. DISCIPLINE – by teaching how to behave, set and enforce limits, and monitor behavior. RESPECT- by encouraging teens to develop their own opinions and beliefs, model civility and allow privacy. WHEN IN CONFLICT WITH YOUR TEEN? Don’t engage in “power struggles” that is about how to think, and who is right. Focus on the important issues of health and safety. Model the language and tone of voice you expect from your teen. Stay calm and remember you are in charge – You are the adult. Be realistic about how your teen acts – they simply don’t have the skills and experience you have in dealing with disagreements. Find ways to say “YES” as well as “no”. Look for common ground where you and your teen agree. Don’t forget your sense of humor – it’s your best tool for putting issues in perspective. Friends are very important to teens, parents need to balance family time and their teen’s time with friends. It has been quite a while that I am involved in voluntary activities with underprivileged children here in Mexico. But getting such a scope in your own country means something rewarding to one’s heart and soul. 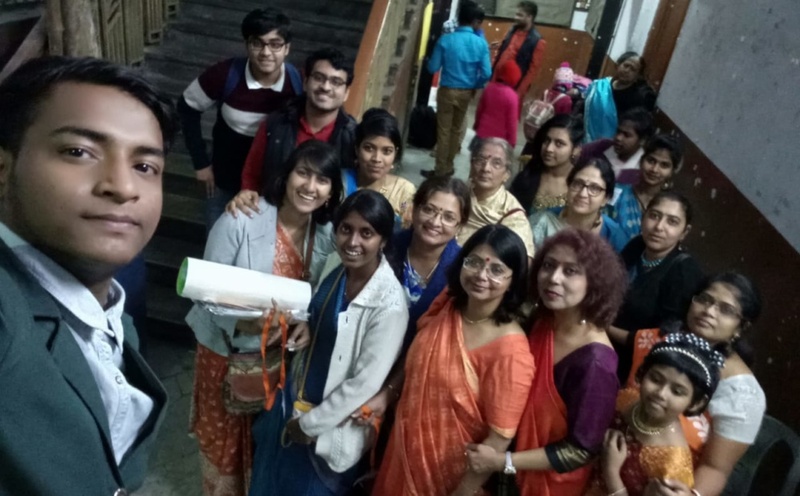 This summer we were traveling to Kolkata, so thought it was a good opportunity to get acquainted with the methodologies there and learning in a different environment. Moreover, for my son, it would be a cross-cultural experience. My sincere thanks to Rani for giving us this opportunity. 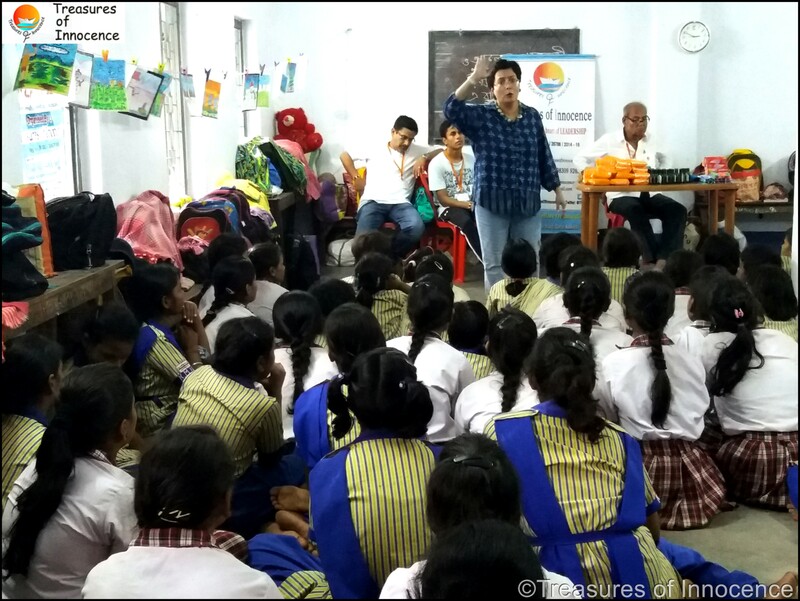 Along with ToI we visited four schools in both north and south Kolkata. 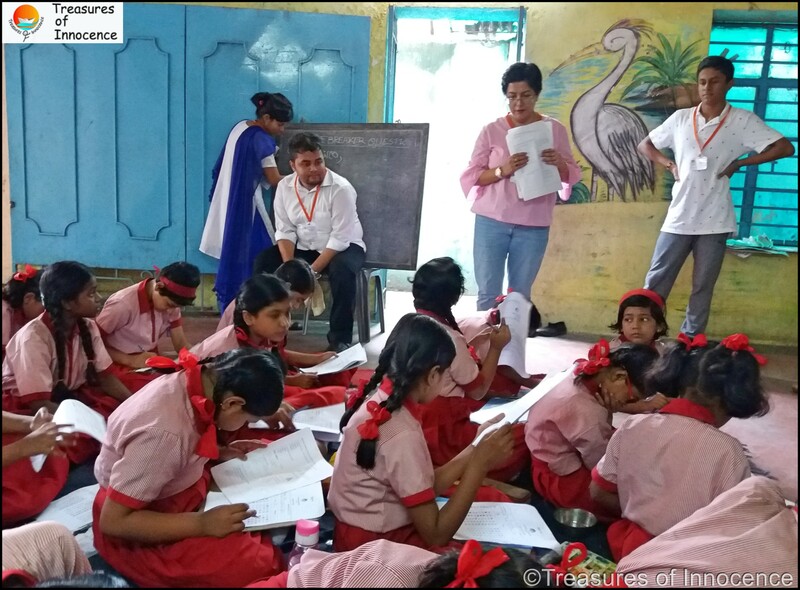 These schools mainly have slum and street children (girls) as their students. Some are boarders and others, day scholars. That which has attracted me the most is the program design by ToI (especially Rani). The program is extensive but very compact. 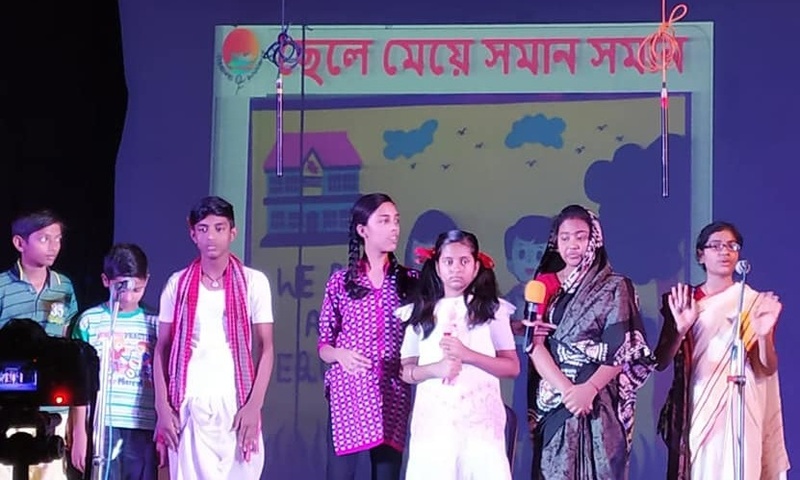 It covers a wide variety, from health and hygiene to adolescence problems and control, women empowerment that includes developing consensus against child marriage, the importance of girl child in our society and need for their financial independence. The beauty of the programme lies in the way these messages are being spread. 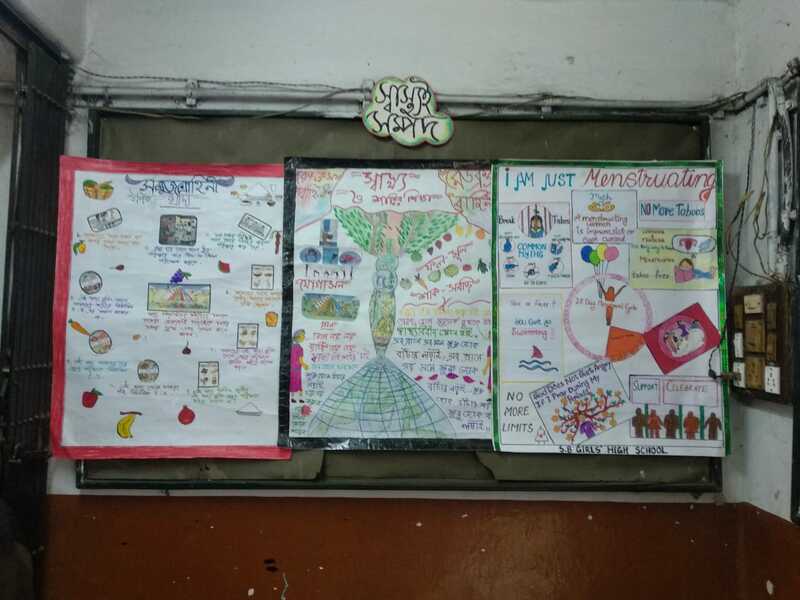 ToI educates beautifully through skits, extempore, videos, games, activities so as to make the sessions more interactive. 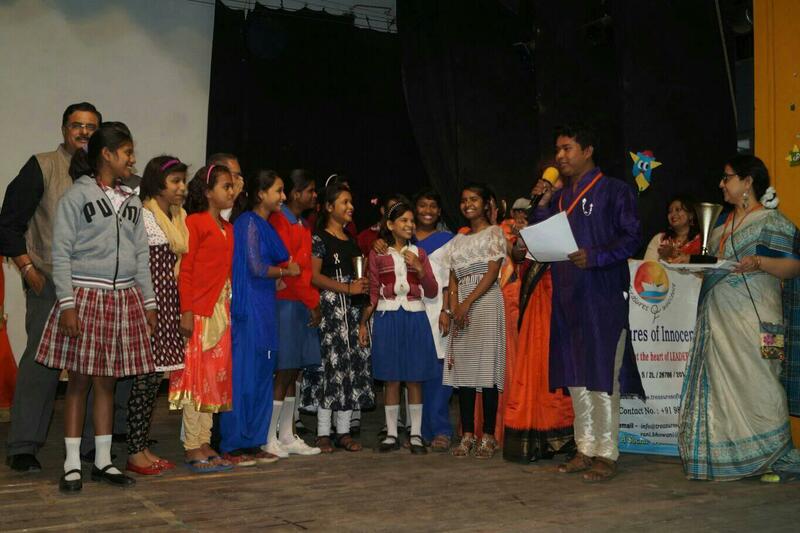 Side by side competitions are floated for assessment and hence enhancement of academic abilities and intrinsic talents. Prizes comprise of items catering to basic needs, for example, toothpaste, soap, sanitary napkins and so on. To conclude it would be an injustice if I do not say that ToI is really a breakthrough from the traditional old-school methods of imparting knowledge to those hapless cross-sections of the society and their overall development who otherwise could never have afforded this type of modern form of interactive learning adhering to international standards. My personal appeal to all those who had the scope to get associated with ToI and those who intend to be in near future is to generate funds for ToI, which may be the personal contribution and raising funds within your own community to keep this noble service going. In doing so many of us would at least directly or indirectly contribute towards upliftment of our society. And what else can be better than serving our own people, because serving mankind is serving God. 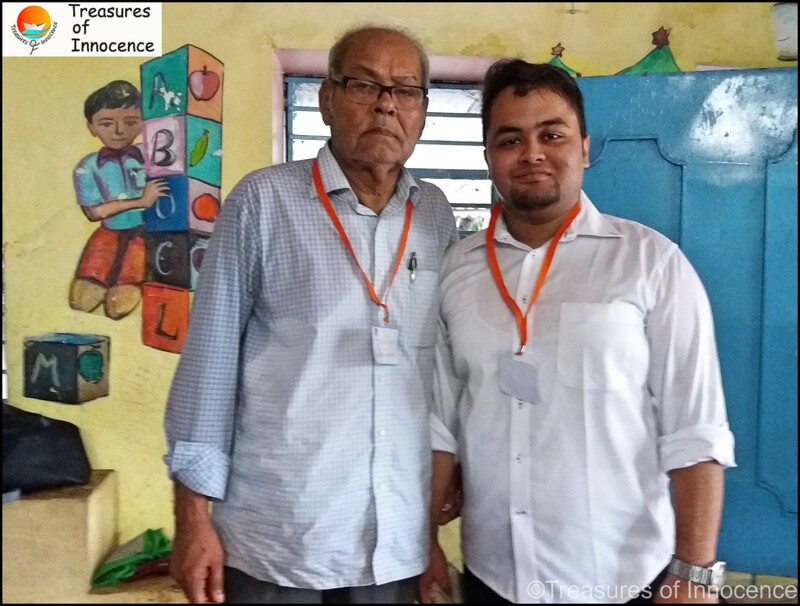 My journey with Treasures of Innocence began with the urgent need to do an internship as a part of my BA LLB honors course from Amity University, Haryana. 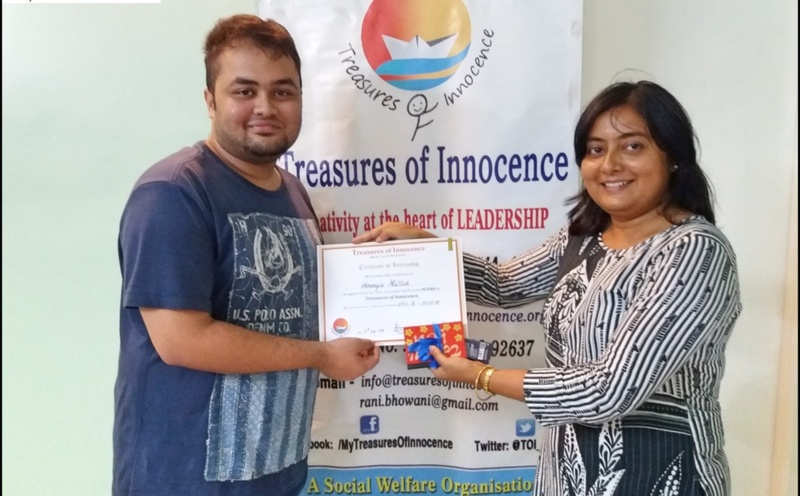 However within few days I became a part of the ToIe family and working for the children here gave me immense happiness which was indeed much more than a regular internship could have given me. Being a very shy and introvert person, it has always been very difficult for me to interact easily with unknown people and make myself comfortable in a new environment. So with this fear in my heart I moved forward to explore and experience a whole new side of my character. 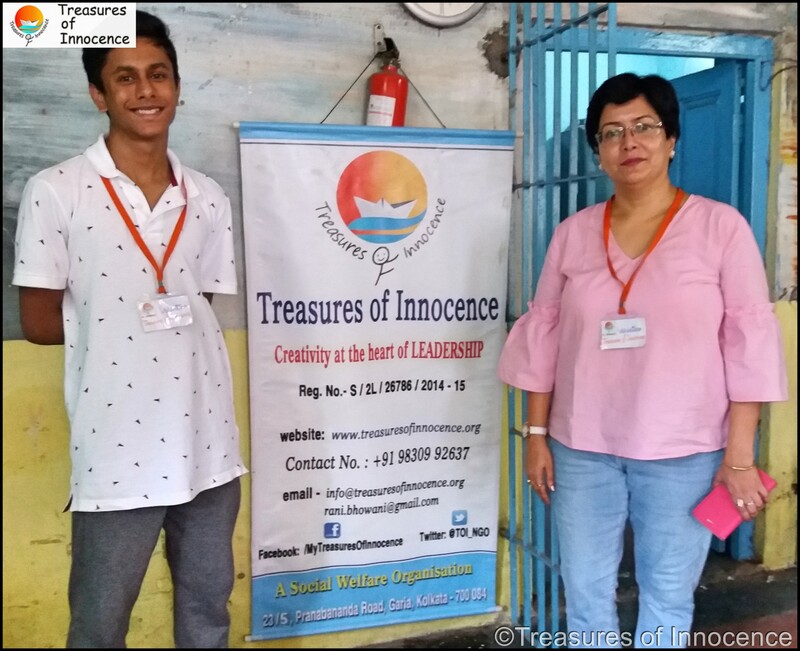 My elder sister suggested me to do my internship from Treasures of Innocence, a non- profit organization that worked for the betterment of underprivileged children. 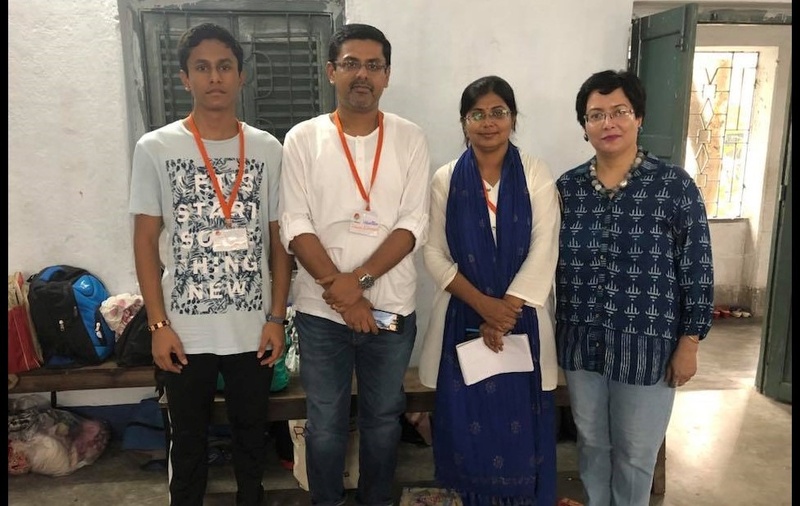 Soon I came in contact with the main force behind this organization, the founder, Miss Rani Bhowani, a lady who has been working tirelessly for this good cause. They made me understand how the organization works and explained to me the responsibilities which I will be given. 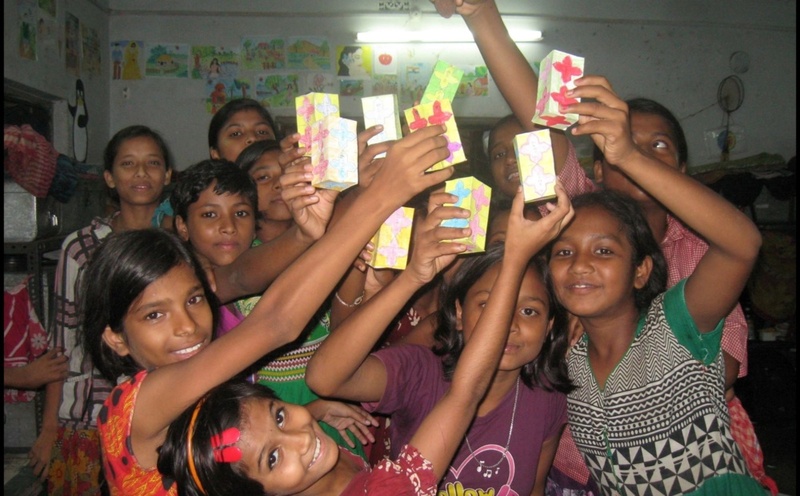 Underprivileged children are a very important part of the society as they too are the future of this country. So why will not they be given an equal opportunity in education? Why these children will work from a small age? They too have the right to dream and live a better life. Our little effort will help one of them fulfill their dream. Treasures of Innocence have taught me many things which I will remember throughout my life. I have learned to interact with unknown people and deal confidently with any situation. The best thing is my shyness has almost disappeared in this short time. 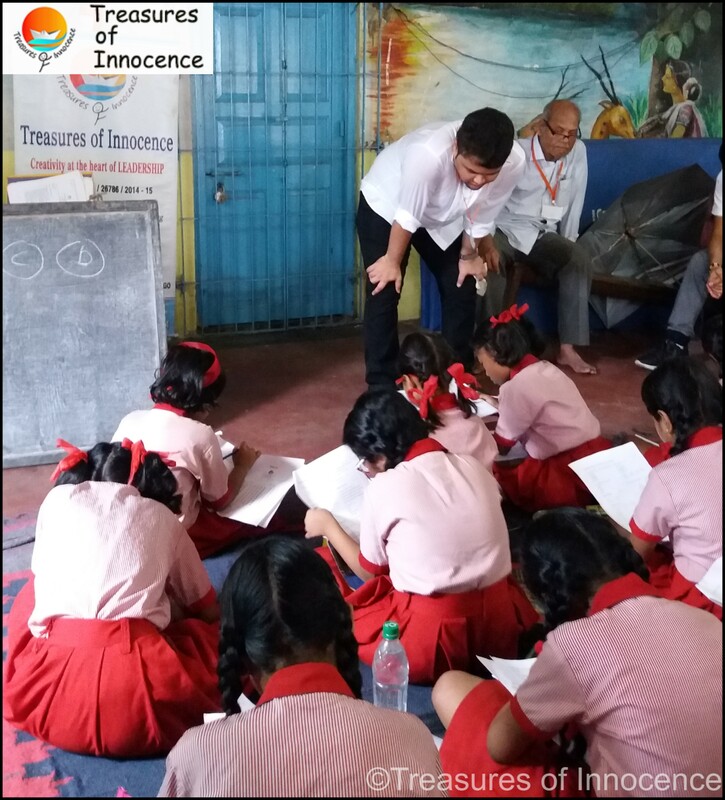 I have conducted many sessions with the children of ToIe and I think that was the best time of my work. The children give a meaning to life and we realize that we have come to this world not only to think about ourselves and our dreams and ambitions but for something much more deeper than that. 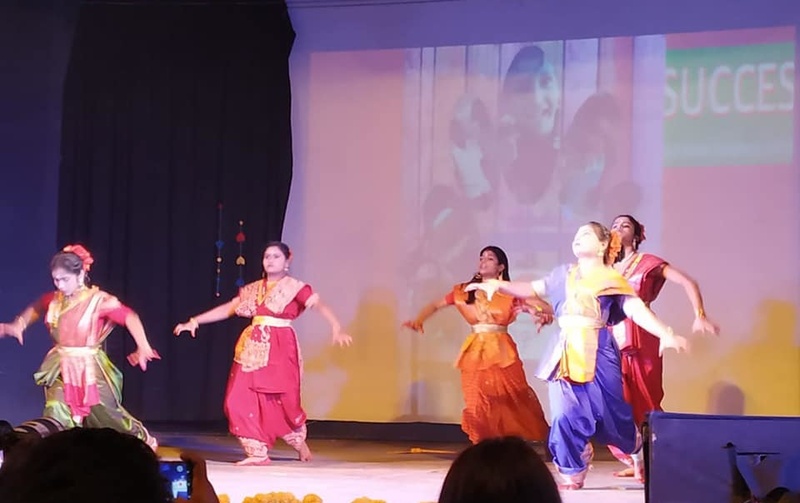 The happiness which I received after spending time with these children is something which I have never experienced before and it cannot be penned down. Rightly did Swami Vivekananda said, “It is a privilege to serve mankind.” I am really grateful to have received this opportunity so early on in my life and this will be cherished forever. The work environment was really homely and something which no other organization will offer. 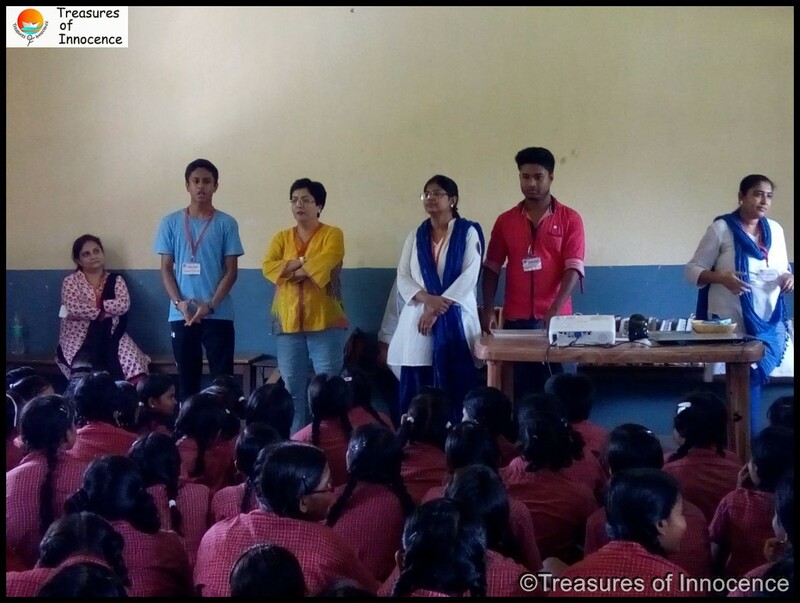 I became very close to all the members of ToIe – Susmita di, Mitali di, Mekhla di and Aditi di just to name a few. This will not be complete without mentioning Mr. D. K Bhowani, an inspiration for all of us. 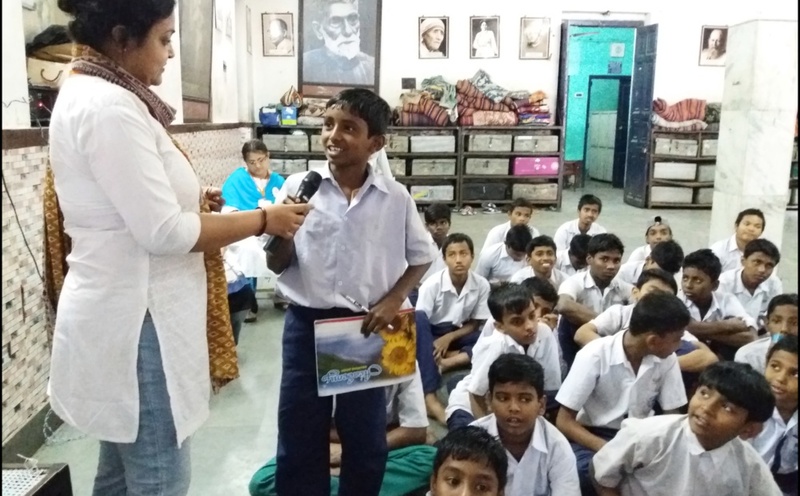 At this age he continues to lead the organization for the welfare of children. He maintains discipline and assigns works to everyone. 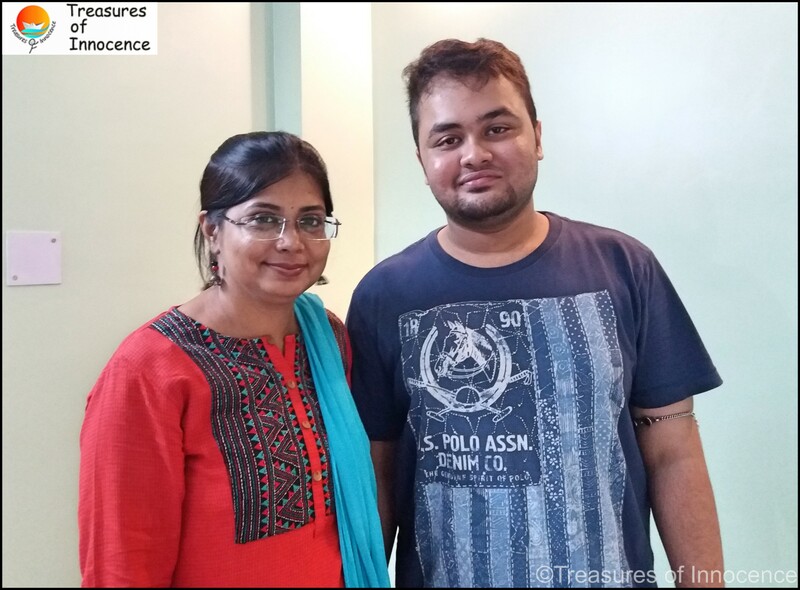 With constant support he has been helping her daughter Rani Bhowani from her initial days of ToIe to the present time. 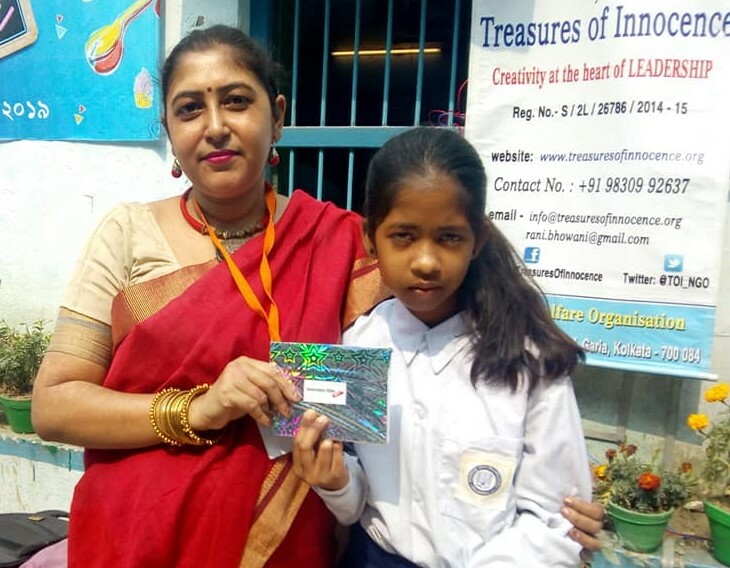 Last but not the least is Mrs. Debanjana Roy, who is supporting ToIe from abroad also for these underprivileged children. She has helped me a lot to understand my duties and execute them properly. Rani Ma’am, a role model for this young generation. A woman who left her corporate job and dedicated her life for those who need her and for the betterment of our society. A lady with a heart filled with love and affection for the needy. She works day and night just to bring a smile on the faces of the children whom she calls her own, to improve their life and to make them self independent so that they can lead a better life in future. A life dedicated to others is a rare one and so she will continue to amaze and inspire me. It was a memorable opportunity and an absolute honor to work with ToIe. 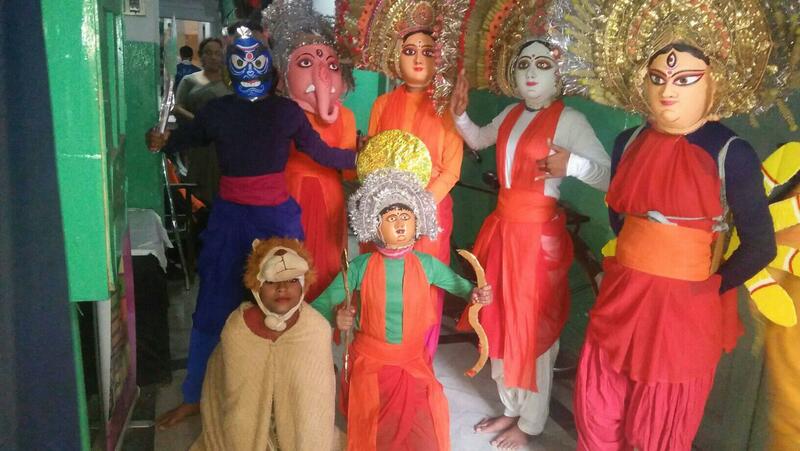 I wish Treasures of Innocence reach out to more children from all over India in future. My support will be there forever as I have committed. The tireless efforts of all the members here to fulfill a single vision will always inspire and encourage me throughout my life. Thank you everyone for helping me during my tenure. AVOID situations which irritate you: Observe the times when you are inclined to explode. Think about and plan in advance. If you sense a reason for an explosion, find a way out. Eg. If your child throws a tantrum each time you go shopping; avoid taking him. LEAVE once you begin to sense hostility brewing: If you don’t feel you can keep calm, excuse yourself and give yourself a ‘timeout’. Find TECHNIQUES that calm you down: In most situations, simple techniques like taking deep breaths or counting backwards work. A quirky method which is useful for some is humming to self or singing to self. PAUSE before you react: Sometimes, lashing out or responding aggressively at the moment helps. Before your burst, take a brief moment to take a deep breath or close your eyes. Take enough CARE OF YOURSELF and REST your body: One is more likely to lose control if you are hungry tired and stressed out. Eat healthy meals. Cut down on caffeine. Exercise regularly. REACH OUT: If you feel overwhelmed and out of control, seek professional help. Trained Psychologists will help you understand your anger and find techniques to deal with it.